A highly affluent local audience. 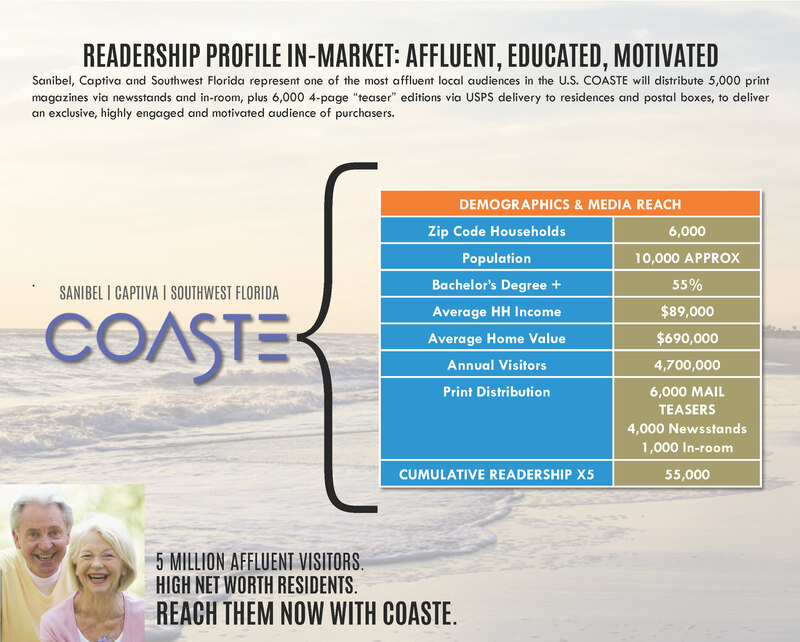 Reach them now with COASTE. 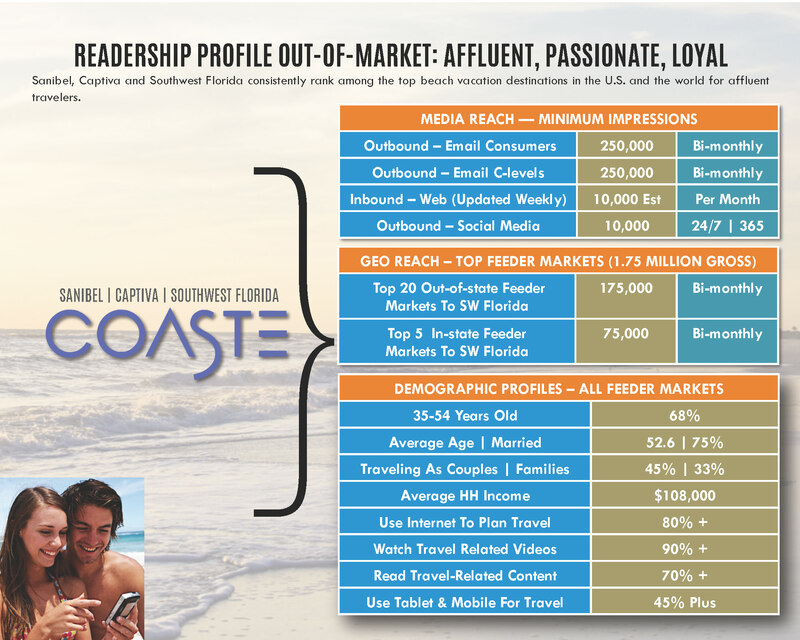 COASTE delivers advertisers a highly affluent, educated, motivated and loyal audience of local, regional and national consumers who live here or travel here — and are passionate in their love for Sanibel Island, Captiva Island and living in beautiful, wonderful Southwest Florida. VISIT FLORIDA; Lee County Visitor & Convention Bureau; MMGY; NOISE Inc.; COASTE LLC.